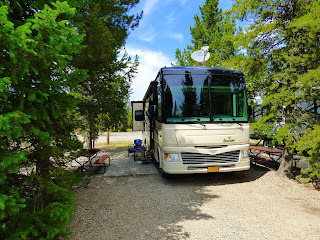 We arrived at Rustic Wagon RV in West Yellowstone yesterday. 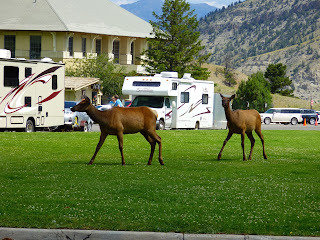 It is a very nice campground with very helpful and friendly staff.We are in site #8. 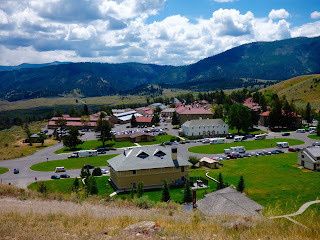 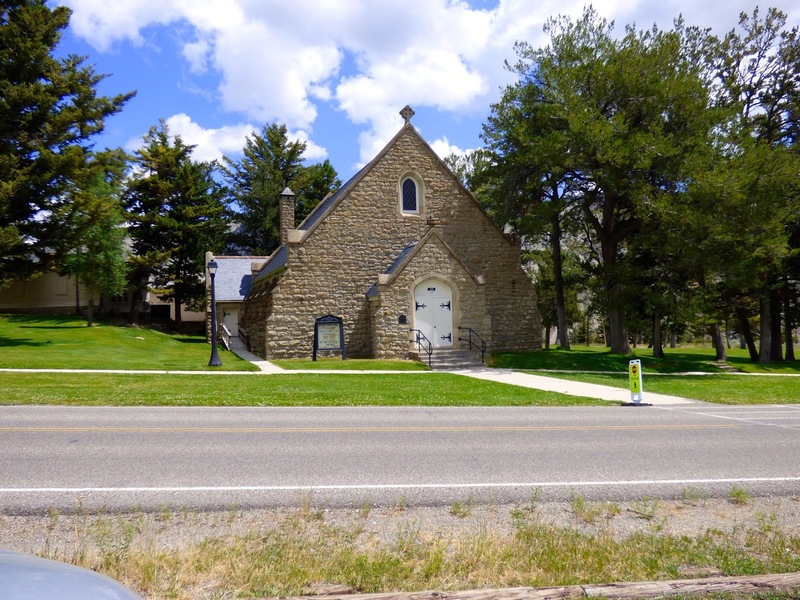 The campground is within walking distance to town and a mile to West Yellowstone Gate. They only accept cash or check. 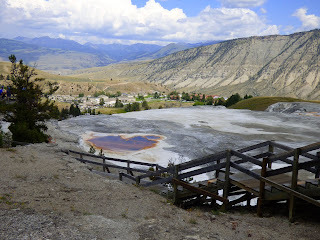 Would definitely recommend when visiting Yellowstone. 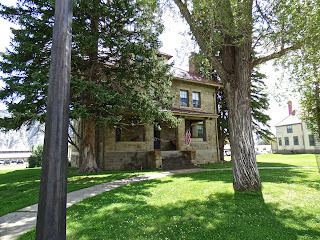 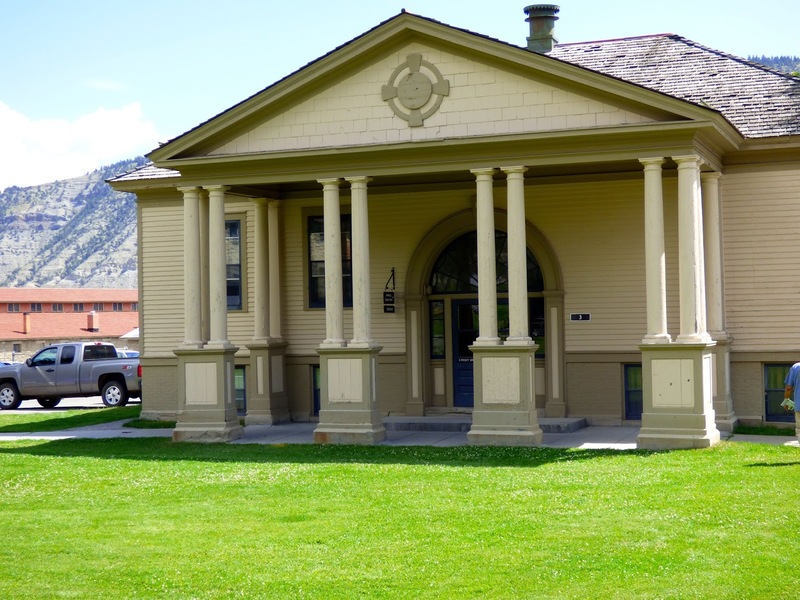 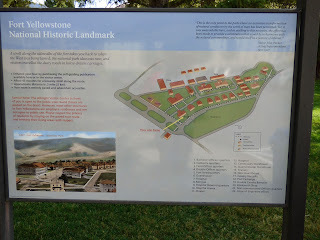 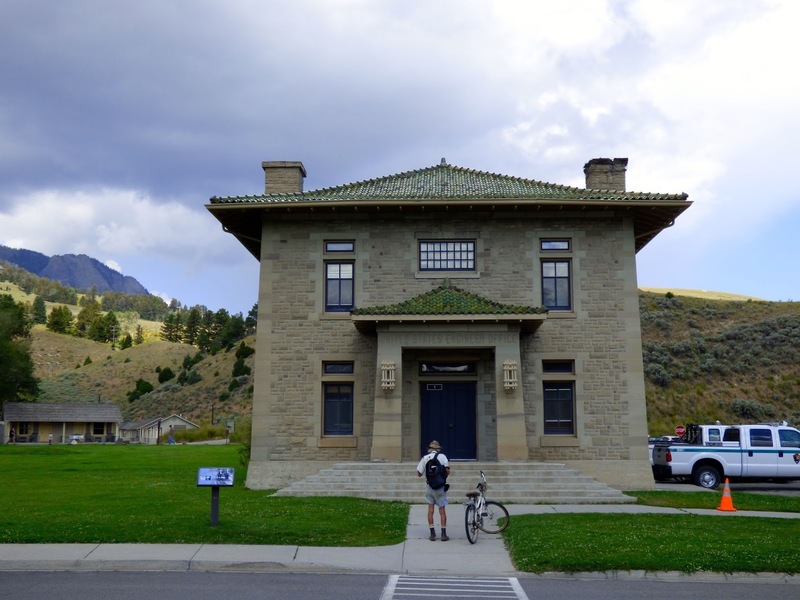 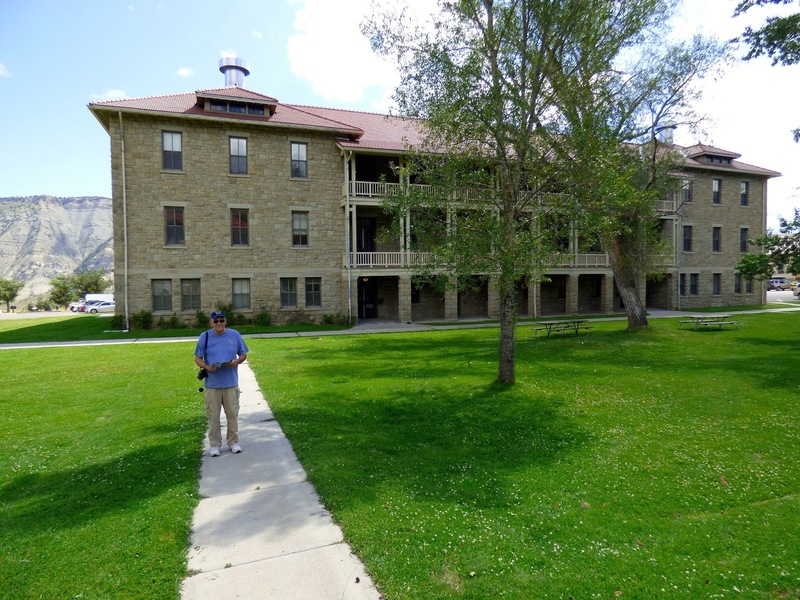 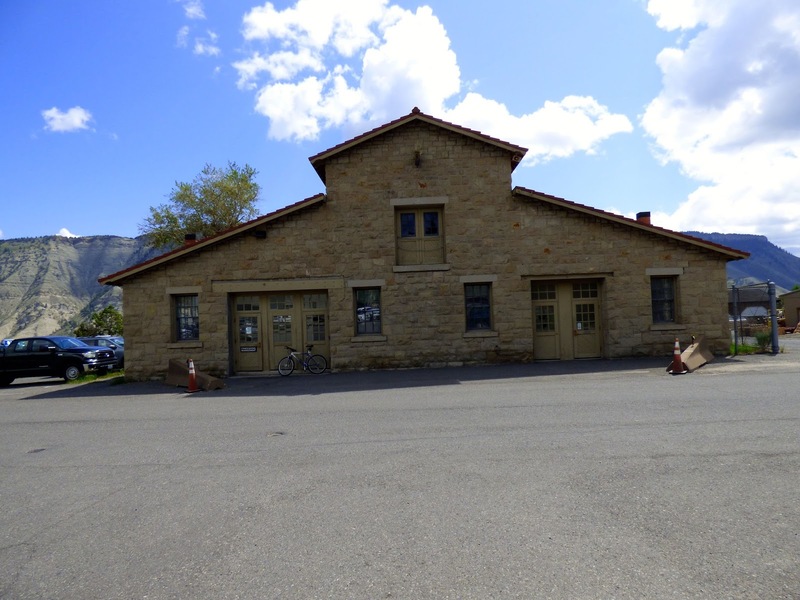 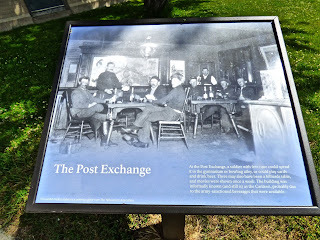 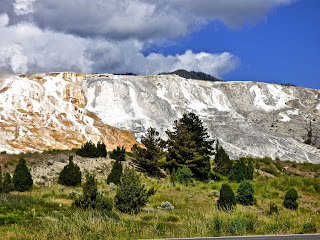 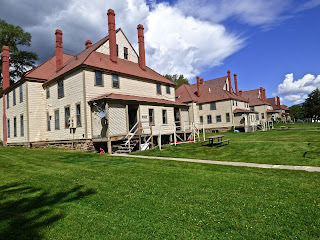 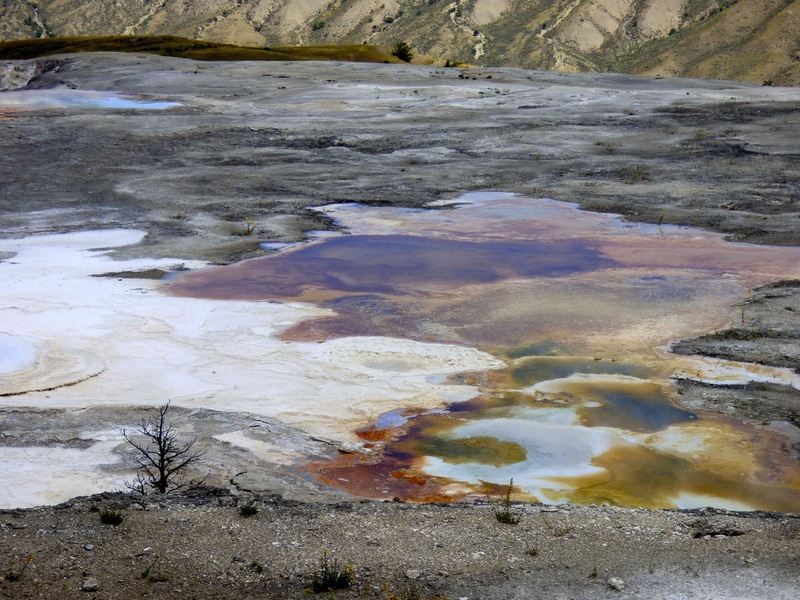 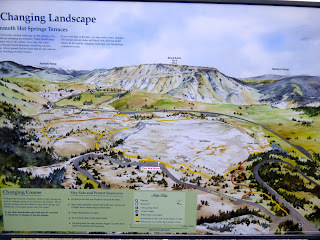 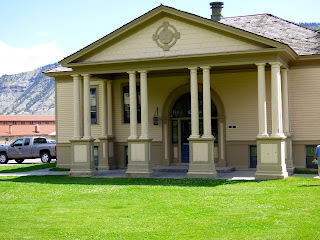 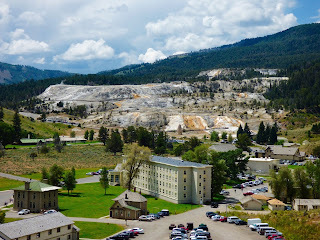 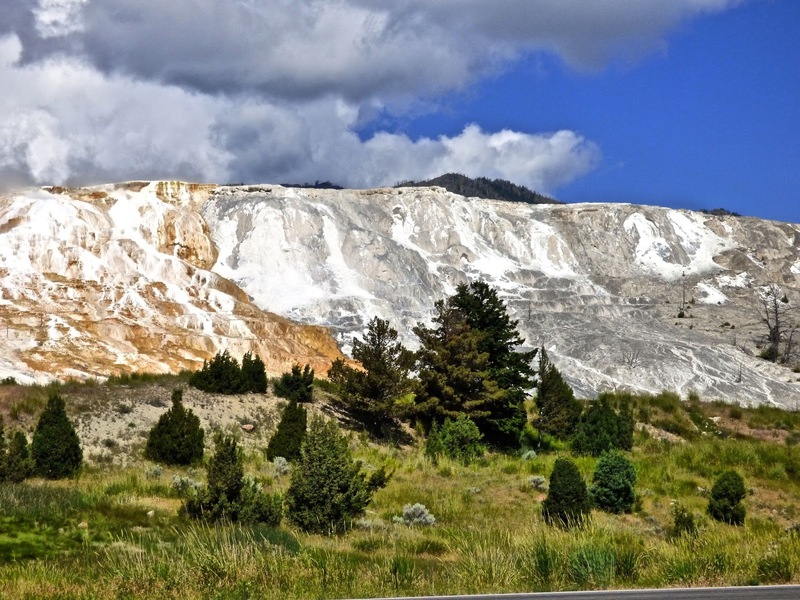 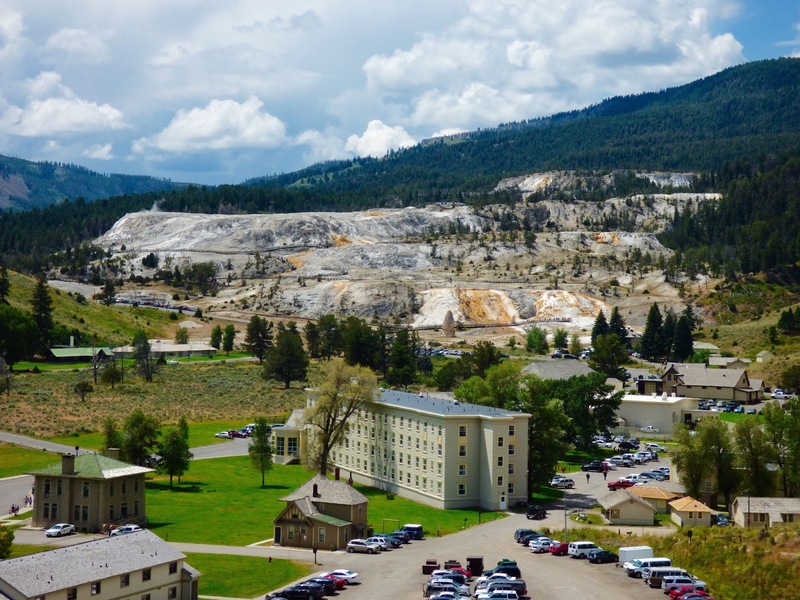 Today we decided to do the North part loop drive to the Mammoth Hot Springs area and Fort Yellowstone. 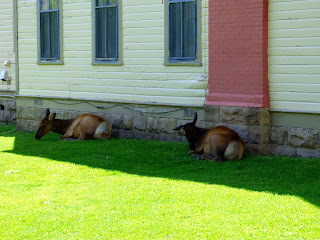 Since we are here two weeks and this is our 3rd visit(1998 and 2002), we are just going to take it easy on the park touring. 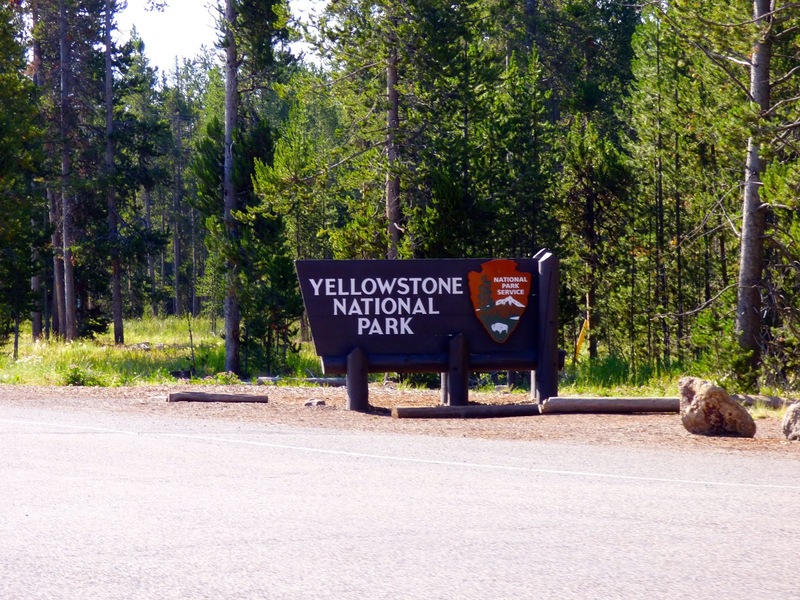 Yellowstone was established in 1872 and came under serious threat from those who wanted to exploit rather than preserve and protect. Poachers killed animals, souvenir hunters stole relics,developers set up camps for tourists near the hot springs. 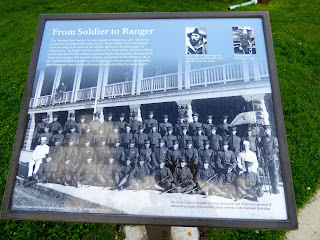 Congress refused to appropriate funds for protections and the park turned to the US Army in 1886 which began 32 years of military presence in the park until 1918 when the fort was turned over to the park service. 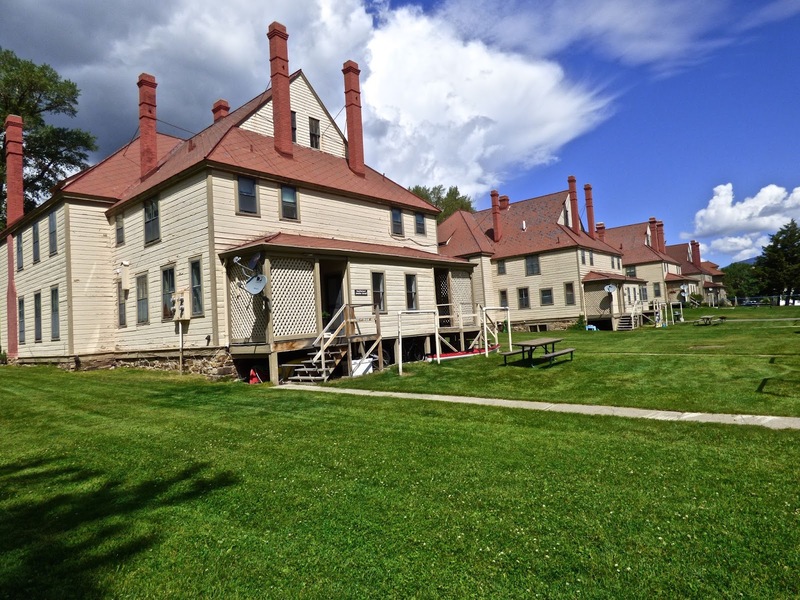 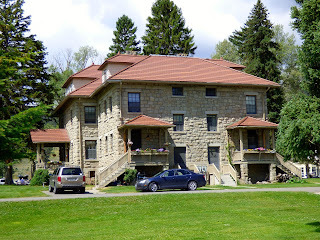 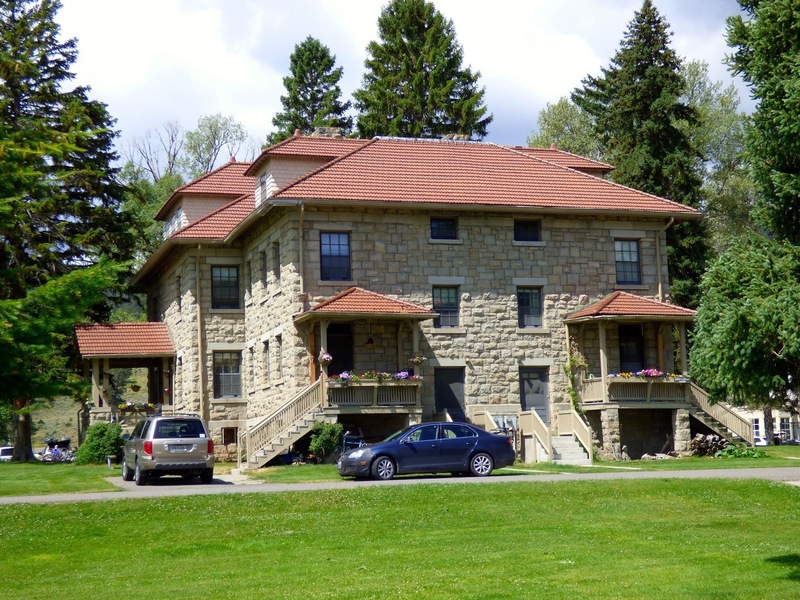 Most of the buildings constructed during the Army era still stand today and are used as housing and administration. 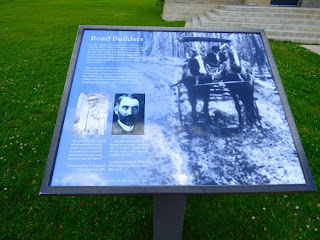 A walking tour from the Visitor Center takes around 45 minutes and is self guided. 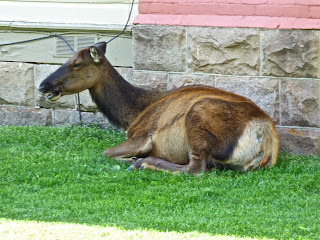 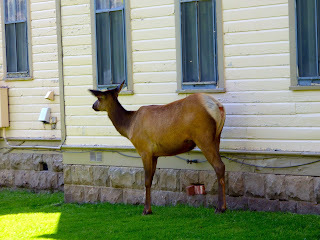 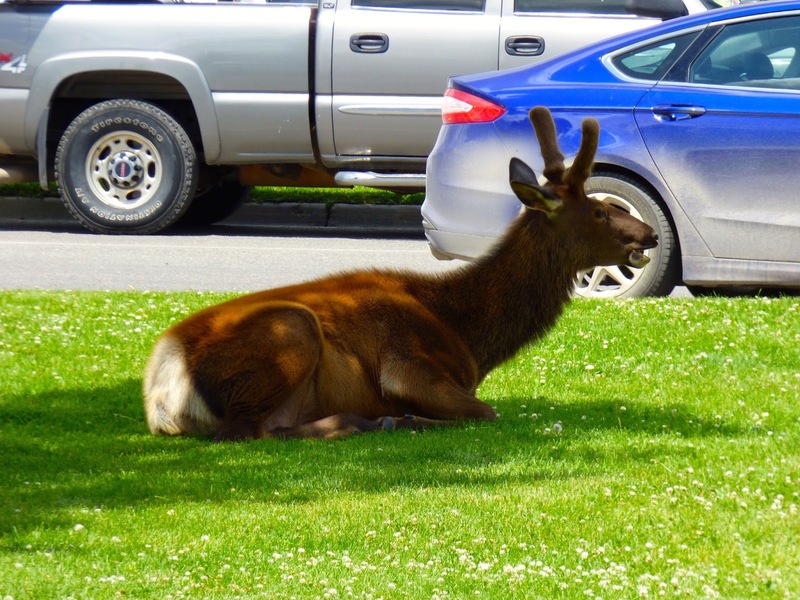 Spotted several Elk who seem to have taken up residence by the Visitor Center and several homes. 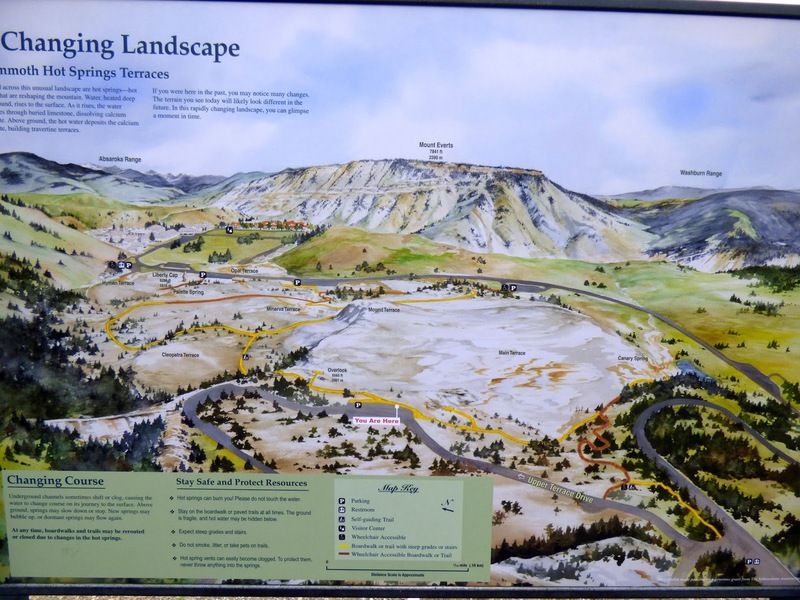 After lunch, we drove the loop around the Upper Terraces of Mammoth Hot Springs. 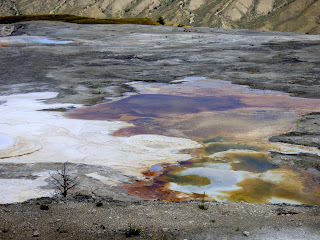 Seems when we were here on previous trips, there were more colors of blue and green. 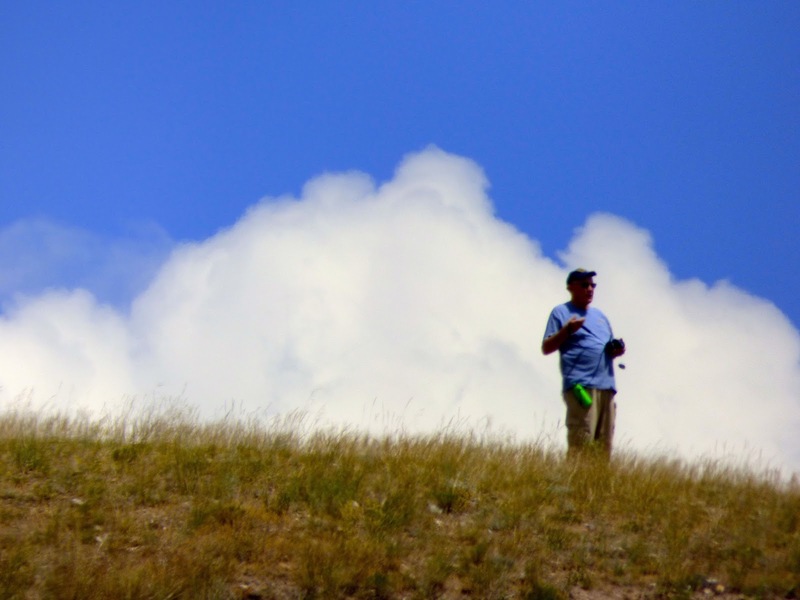 Maybe my memory fails me. 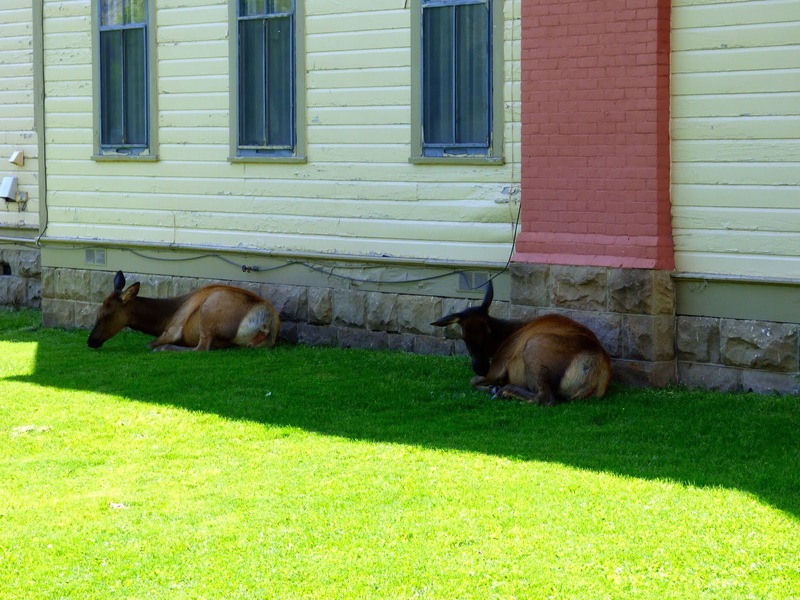 Did not spot any more wildlife. 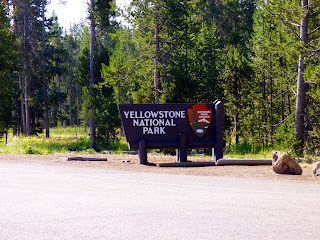 We then continued on the loop back to West Entrance passing by Tower and Canyon Junctions. It started to rain so we did not stop for photos. Highest elevation was 8800 ft.